Diverticulitis is a common condition where pouches in the large intestine become inflamed. It’s characterized by severe abdominal pain, cramping, nausea, vomiting or a change in bowel habits. Diet is thought to play a role in the development of diverticulitis and in its treatment. 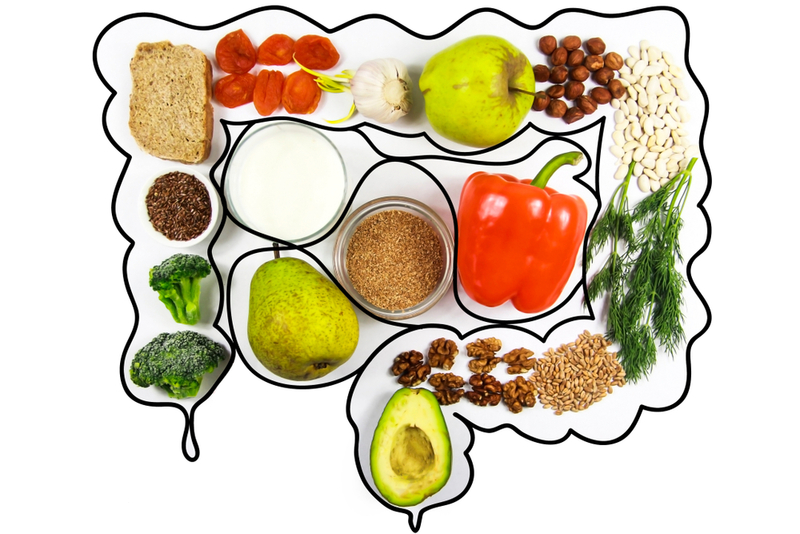 This article explains what diverticulitis is, what causes it and which foods you should eat or avoid on a diverticulitis diet. Many people have pouches in the lining of their large intestine called diverticula. When these pouches become inflamed or infected, the condition is called diverticulitis. Diverticulitis is different from diverticulosis, which is the condition of having diverticula. Diverticulosis and diverticulitis are together known as diverticular disease. It’s estimated that 10-25% of people with diverticulosis get diverticulitis (1). Most people with diverticulosis don’t experience any symptoms but the most common symptom of diverticulitis is abdominal pain. Other symptoms include fever, nausea, vomiting and constipation. When severe enough, diverticulitis can lead to intestinal bleeding, tears or blockages (2). Like most conditions, there isn’t one cause of diverticular disease, rather it’s a multitude of factors that contribute to its development. Although not proven, a low-fiber diet is thought to be the main cause of diverticular disease (3). Eating a low-fiber diet made up of mostly processed foods can lead to constipation and hard stools. Straining to pass stools increases pressure in your intestines, causing weak spots in the large intestine to bulge outward forming diverticula. Diverticulitis occurs when small pieces of stool become trapped in the diverticula, causing infection or inflammation. Other factors that are associated with an increased risk of diverticular disease include older age, lack of regular physical activity and being overweight (4). During diverticulitis, oral intake is usually decreased until bleeding and diarrhea stop. Depending on how severe your symptoms are, you may be placed on a nothing by mouth (NPO) diet for bowel rest. From there, your dietitian or doctor may place you on a clear liquid diet to access tolerance before advancing your diet. Once inflammation and bleeding are no longer a risk, you can slowly begin a low-fiber diet. This will help reduce the frequency and volume of your stools, which will less irritation to your large intestine and help you heal. With a low-fiber diet, the goal is to consume less than eight grams per day but consume enough protein to promote intestinal healing. Once your symptoms of a diverticulitis attack subside, it’s recommended that you consume a high-fiber diet. Historically, it was recommended to avoid nuts, seeds, corn and popcorn, as it was thought these foods could get lodged in the diverticula and lead to irritation or infection. But research suggests that isn’t the case, and instead recommends consuming them since they’re good sources of fiber (7, 8). With a high-fiber diet, slowly increase the amount of fiber you eat to 25 to 35 grams per day and drink plenty of fluids. Increasing the fiber in your diet too quickly can lead to stomach discomfort and and constipation. With diverticulitis, the goal is to consume less than eight grams of fiber per day until your symptoms have subsided. Grains: Cream of wheat or rice, white rice, enriched white breads without seeds, crackers, pasta and white flour or corn tortillas. Protein: Fish, beef, pork, eggs, smooth nut butters and tofu. Dairy: (avoid or limit if you have an allergy or sensitivity): 1% milk, yogurt without nuts, fruit or granola, cheddar or Parmesan cheese and cottage cheese. Vegetables: Cooked carrots or green beans, potatoes without skin, strained vegetable juice. Fruits: Fruit juice, canned peaches, pears or applesauce. Grains: Whole grain bread, tortillas, pasta, cereals or popcorn, seeds, nuts and brown rice. Protein: Fried meat, processed meats such as bologna and salami, sausage, bacon and hot dogs. Dairy: Whole milk, cream, sour cream, yogurt with added fruit, nuts or granola. Vegetables: raw or undercooked vegetables including, beets, broccoli, corn, cucumber, peas, potato skins, spinach, tomatoes. Fruits: Raw or dried fruit, canned fruit with mandarin oranges or pineapple, prune juice and fruit skin. After recovering from diverticulitis, a high-fiber diet is recommended to prevent complications associated with diverticular disease. Add these foods to your diet slowly to prevent stomach upset and constipation until you reach the recommended intake of 25-35 grams per day. Increasing your fluid intake and engaging in regular physical activity can also offer protection against diverticular disease complications (4). It occurs when the diverticula in the large intestine become inflamed or infected. It’s important to limit your fiber intake during a diverticulitis attack in order to allow your large intestine to heal. After recovering from diverticulitis, slowly increase your fiber and fluid intake to prevent complications associated with diverticular disease.